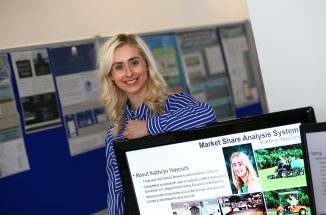 Elise Davies, Digital Media BSc(Hons) tells us about her final year project (and her course). 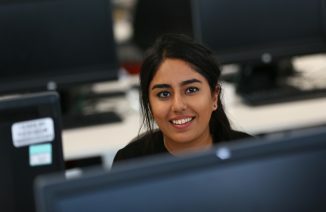 “I chose Brighton because not many universities offered digital media and I liked the variety of the course. I was going to choose graphic design but I wanted the knowledge of coding which this course given me. The city of Brighton was also a big factor, there is always something going on and it’s a lovely city to live in. 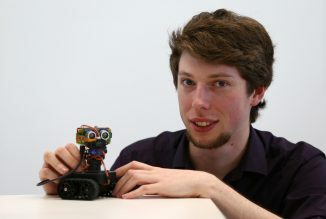 Computer Science (Games) BSc(Hons) student John Evans tells us a bit about his course and demos his final year project robot at the Computing Degree Show. 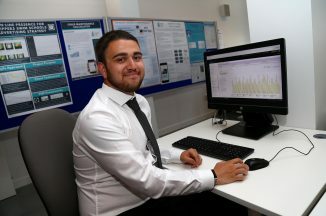 “I chose this course as it is a general computer science course which could give me more options compared to focusing purely on games. 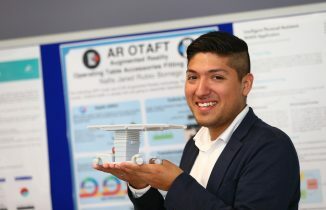 The artificial intelligence modules and web-based games module were the most exciting for me personally, as I got to explore interesting concepts with technologies I enjoyed using. 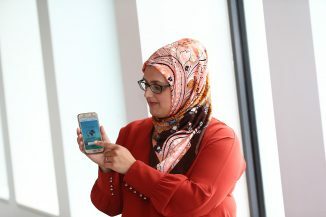 Zahra Rahman, Digital Media BSc(Hons), tells us about her travel safety app project. 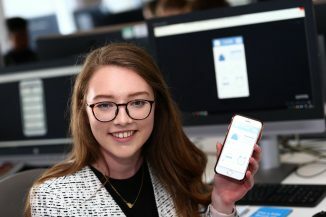 “My final year project is based on the evaluation and re-design of a mobile app called FCO Alerts that was available via Google Play. The app allows the traveller/consumer to select countries they would like to receive safety updates for.